Sorry for the delay in posting here, my week was cut in half thanks to lack of power for 18 hours (post about this coming soon). But it is Friday and I wanted to send out all my love to everyone who helps make this job so fun and so special. 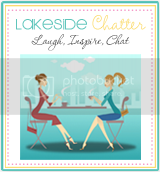 The Cupcake Girl - This is the Last weekend to place an order and receive 10% off if you mention you read about her on Lakeside Chatter. Her cupcakes are super delicious and she offers a variety of flavors and allergy free options as well. Visit her blog today to place your order and also check out her new logo. Super cute!! Sugar Creek Garden Center is having their 2nd Annual Arts and Craft fair Tomorrow, May14th between 10:00-3:00 p.m. Visit here for more information on this fun event for the whole family. Contemplating teachers or Graduations gifts? Check out gift basket ideas from Thoughtful Creations. Each basket small or big can be specifically customized thanks to Christine and her crazy unique creativity. You won't be disappointed with any creation she comes up with large or small. Make sure to also visit Plumfield Shop on Etsy for more gifts ideas, not just for teachers but also for new baby, birthday's weddings or just fro yourself. Make sure to read Lauren's Blog as well, she takes great pictures and has great posts on food, places to visit and other unique bits and pieces on daily life. 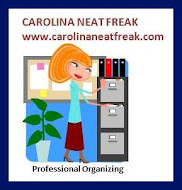 Welcome new Chatter Sponsor "Carolina Neat Freak" More info coming in the next week, but super excited to have Kristin on board and can't wait to learn more about how to be better organized ( is so need this). 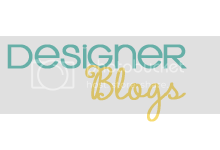 The Bloggers Club: I new feature where I will be sharing, commenting and showing off other blogs that offer inspiration hope and laughter. Smile for Mommy - While this isn't the "official" title of my new blog it will be close. I continue to pursue my love for photography and thanks to my husband who got me a membership to The Lightfactory for Mothers Day I will be adding more photos and offering more photo journaling along the way. 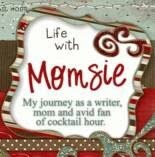 Hope you all plan to stick with me and visit me there as well as keep up with my family life on Momsie. where the real fun happens.